July 18, 2010 -- The Arkansas State University Alumni Association will honor three outstanding individuals in its 27th year of recognizing distinguished alumni. The Distinguished Alumni presentation ceremony will be held at halftime of the Homecoming football game on Saturday, Oct. 2. This year’s honorees are: Maj. Gen. (ret.) George Barker, who has had a notable career in the military and humanitarian causes; Dr. Joel Gambill, long-time chair of the ASU Department of Journalism, and Julia Lansford, music professor and "voice of ASU" for four decades. Maj. Gen. George Barker (U. S. Army, retired) presently resides in New York City. He graduated from ASU in 1955 with a degree in music, though it was the university's ROTC program that led to his outstanding career in the military. A graduate of the Army Command & General Staff College and the U. S. Army War College, he served his country for 35 years, and was twice awarded the Department of Defense Distinguished Service Medal. Since his retirement from the Army, he has devoted his life to humanitarian causes. He is a volunteer for Concern Worldwide USA, donating time and money to humanitarian projects in poorer countries of the world, especially Sri Lanka and Haiti. 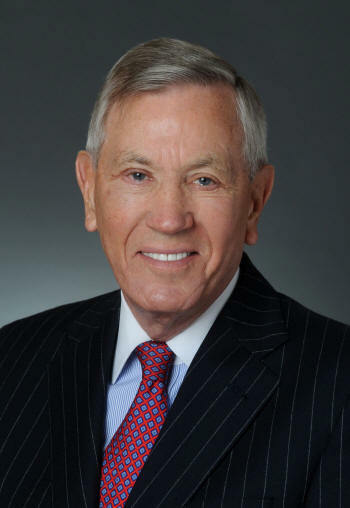 He served the American Cancer Society as National Executive Vice President for International Development, after serving as the CEO for the New York City Division. He was presented with the Key to the City of New York and the New York State Conspicuous Service Medal. Along with currently serving on the Board of Trustees of the Army War College Foundation in Carlisle, Pennsylvania, he is a founding member of ASU's Beck PRIDE Center for America's Wounded Veterans National Advisory Council. As a co-founder of the Helping Hands Foundation in his home town of Rector, the foundation has provided the means to fund five 4-year scholarships to Arkansas State University as well as aid to deserving public school students, including dental and medical care, amounting to almost $70,000 over the past four years. He also agreed to spearhead a project in Rector to build a veterans memorial park honoring all who have served their country in the U.S. military. He is working to secure the necessary funding in addition to his personal contribution to the construction. Gen. Barker has two daughters, Nadia Dell and Marisa Barker. Dr. Joel Gambill of Jonesboro graduated from Arkansas State University in 1965. Soon afterward, he was the first instructor in journalism hired by ASU's renowned professor Tex Plunkett, the father of ASU's journalism program, and spent the next four decades building the department into a national powerhouse. Many of his former students have gone on to distinguished careers in journalism. They are now invited back to campus each semester in the Journalism Alumni Speaker Series which Gambill initiated in order to bring the media world to ASU students. Upon announcing his retirement this year after 36 years as department chair, an outpouring of support led to the endowment of a fund to continue the speaker series which Gambill began. 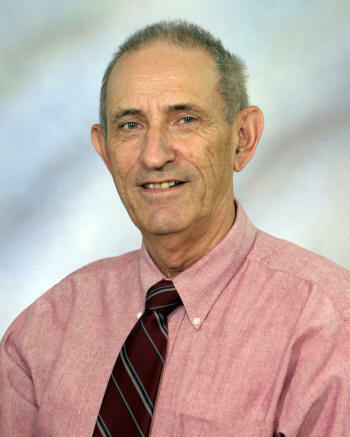 His awards and recognitions, too numerous to list in this space, include being named Outstanding Educator by the Arkansas Press Association as well as the organization's highest honor, the Distinguished Service Award. Along with his dedication to education and journalism, he has devoted his time and talent as official scorekeeper for ASU men's and women's basketball for the past quarter of a century, missing only three games since 1975. Equally passionate about tennis, he captained five Jonesboro teams to the state championship. Though he has many interests, he is most well known, as one newspaper editor said, as Arkansas' foremost journalism educator. It has been said that editors and publishers looking to fill positions on the staff have become accustomed to calling Dr. Gambill first. No less than seven previous Distinguished Alumni honorees were Dr. Gambill's students. Now it is his turn. His achievements can be best summed up in the words of the late, legendary Tex Plunkett: "Hiring Joel Gambill was the highlight of my career." Dr. Gambill and his wife Donna are the parents of Amy Hill and Bethany Gambill. 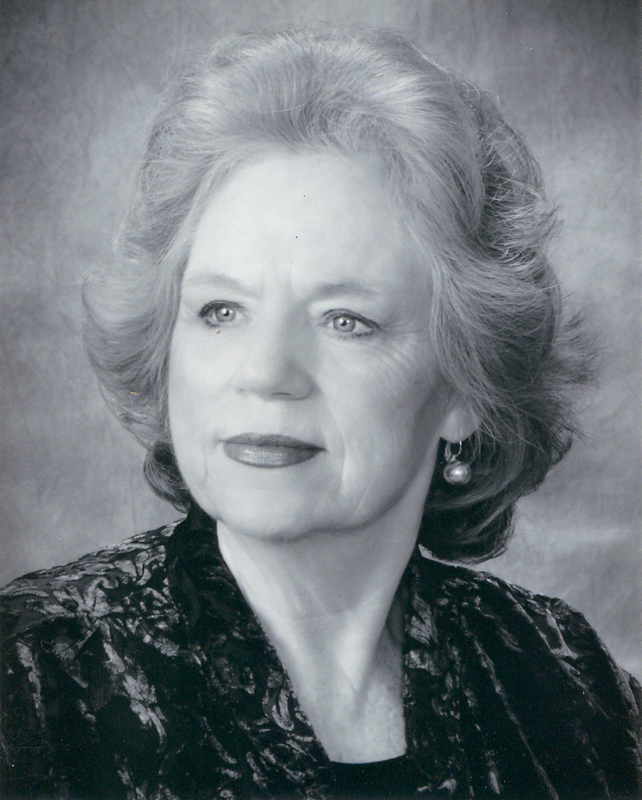 When she retired, it was noted that in 1964, Julia Lansford of Jonesboro accepted a "temporary" position in the Department of Music at ASU, where she graduated in 1962. The plan was to stay a short time before embarking on a professional singing career as an opera singer. That "temporary" job lasted more than 40 years. She fell in love with teaching, and has said she could never find a point when she felt she could leave her students. Those students have gone on to leading roles in Broadway musicals such as 'Urban Cowboy,' 'West Side Story' and 'Wicked.' Others perform with The Gaithers as well as award-winning pop bands. Hundreds more sing professionally, perform in community arts groups, lead choral groups and teach music to the next generation. Even as she taught full time, Lansford's own performances in music are lengthy. She has been well known as the "voice of ASU" and received honors from across the state. She was named Outstanding Singer in Arkansas and represented our state vocally by performing at the Kennedy Center in Washington, D. C. She was soloist with the Arkansas Opera Theatre in Little Rock, Memphis Opera Theatre and the Baroque Music Festival in Memphis, the Bach Festival in Michigan, Lincoln Center and the American Opera Theatre in New York, and the Summer Vocal Institute in Freiburg, Germany. Lansford has performed twice at the White House, including a reception for the Prime Minister of Ireland where Lansford was chosen to perform a program of Irish songs - on St. Patrick's Day, no less. Among many honors, last year she received the Arkansas Governor's Arts Award for Lifetime Achievement, and she has created an ASU scholarship endowed in her name that will assist students for generations to come. She and her husband James have a son, Jonathan. For more information, contact the ASU Alumni office at 870-972-ALUM (2586) or e-mail alumni@astate.edu.